By USGTF member Anthony Benny Trinidad and Tobago Being involved in the game of golf for the past 57 years, I have noticed that once you are poor, there is no chance of making it at this game. But sport is for everyone, every walk of life, rich or poor. The greatest sportsmen and sportswomen come from the “grass roots” people. In an attempt to give back at my place of work, St. Andrews Golf Club, a decision was taken by one of the past managers to offer the nearby schools the opportunity in the game of golf. What a vision by this lady in helping to improve the life, skills and dreams of these young people! I am learning every day what an opportunity can do. Golf is not only about clubs and a golf ball; it is also about decisions, rules, friendship, discipline – and a chance at something different, or better. As the one who works with these kids, it brings me great joy to see the light in their eyes and their willingness to participate. I may not always produce golfers, but when I walk the streets and see what these young people have become, I am the happiest man in the world. To my fellow golf teaching professionals, it is our duty to give back. Let’s make this world a better place, because we can make a difference. 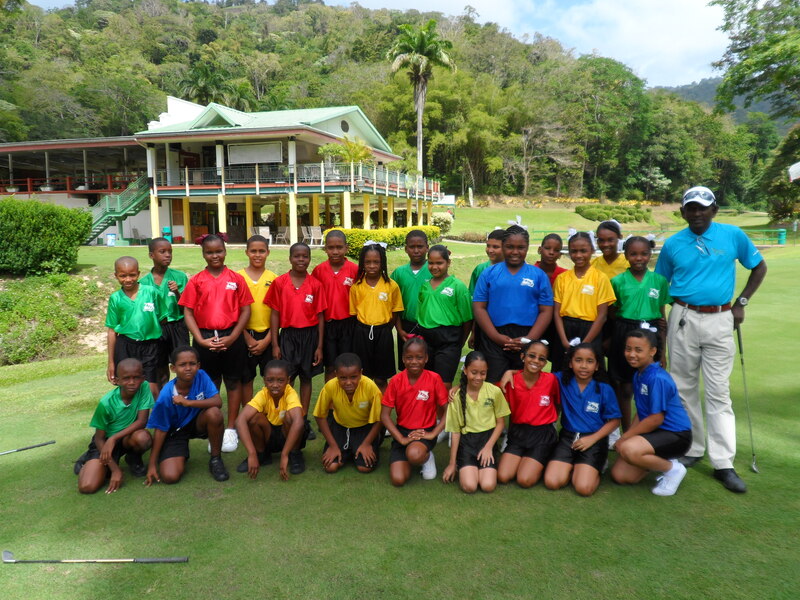 Anthony Benny poses with the Class of 2013-2014 from Maraval RC School on the chipping green of St. Andrews Golf Club.